This Easter box is hand-painted and made of heavy paperboard. 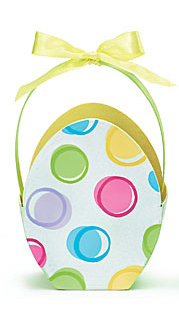 It's perfect for collecting and carrying Easter goodies! Measures 7"H x 4"W x 2-1/2"D.